To honor all the teachers that have contributed to the beauty of the OneDanceTribe Events! Amara is the creator of the Azul™ conscious movement practice. She was trained by Gabrielle Roth in Waves & Heartbeat and has taught 5Rhythms® for 18 years. She has traveled the world spreading her unique voice in this work throughout countries in Europe, the Americas and Australia. She lives in Hawaii and is the co-founder of the global conscious movement community OneDanceTribe. Amara will be on faculty at the HAWAII 2018 event. Arjuna will be on faculty at the HAWAII 2018 event. 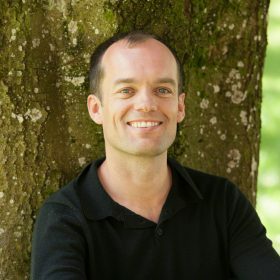 Adam Barley (Cotswolds, England) came across the 5 Rhythms® in ’88 after 7 years of studying meditation and other personal growth techniques. 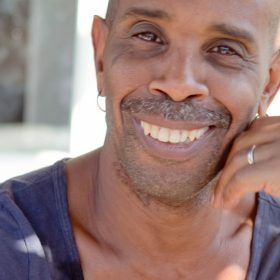 He started studying in ’91, was trained to teach in ‘94, and had 5 years of mentoring with Gabrielle in ”5Rhythms® Heartbeat” and attended the first Heartbeat training in 2005. Other teachers and healers who have inspired Adam’s work are: Maharaji, Jill & Tony Hall, Susannah & Ya’Acov Darling Khan, and Nick Hedley. His teaching style is clear, high-energy, and very inspiring. He often works without music, even though he is a musician at heart and as well as a dancer. 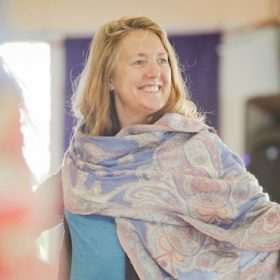 Aletia serves as faculty to the Soul Motion™ School and is the co-founder and director of Madrona MindBody Institute – a sanctuary for conscious dance and living. She calls herself a Dance Detective: a deep diver into the ongoing and ever present mystery of resourcing the body’s intelligence as the entrusted leader for sustaining and relaxing into the everyday dance; a dynamic landscape of change, transformation and relational inquiry. 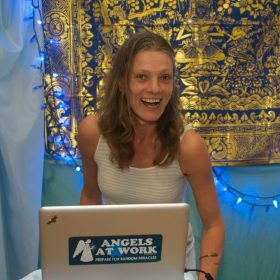 Aletia comes to us field-tested as an organizational consultant, executive director, community activist, entrepreneur, master mariner, rotary-wing army officer, Outward Bound instructor, and most of all, as a Soul Motion™ teacher and facilitator. Amy Chang is 35 year Hawaii resident and haumana (student) of the Hawaiian tradition: hula, language and chant. She has had the privilege to study with many lineage holders. She danced both opening and closing ceremonies at the 2014 Ka ‘Aha Hula O Halauaola World Hula Conference in Kauai with over 300 hula ‘olapa. 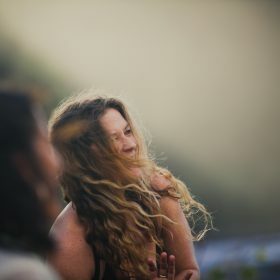 Celebrating and comfortable with detailed choreography and deep chaos, Amy has developed a special Hula flow fusion class for OneDanceTribe that will draw on ancient concepts, applying simple traditional moves free from interpretation. Andrew studied extensively with Gabrielle Roth and runs workshops in many countries. He teaches at the Heartbeat level. For twenty years, he also worked as a theatre director. His workshop, The Holy Actor, combines the embodied aliveness of the dance with the transforming freedom of improvised theatre and has become one of the classic workshops of the 5Rhythms program. He lives in England with his partner Sharon, Laurie, Matthew & Natalie. Anneli Molin-Skelton is s living her dream of inspiring people to discover the forgotten language of their souls through the permission to embrace their sacredness and truth in movement. She believes that everyone can find their way back home into their true selves. She experienced the 5rhythms for the first time in 1998 and instantly knew that this was her life and her passion. since then the dance has been pierced into her heart and has been with her day and night. For anneli the dance is like a marriage with an overflow of unconditional and eternal love. It is her souls medicine. “Anneli’s teaching is a sacred offering held with permission to embrace our nature and personal truths. as anneli invites us to journey within a web of the divine, she gently whispers a guiding call, for the remembering of ourselves and the collective.” Kirsten Welles. Bella Dreizler is a 5Rhythms teacher leading a vibrant community in Sacramento, CA. Bella is also a physical therapist and a yoga teacher what is of a big influence at her teaching, as she combines dance and self care yoga. She is totally in her right work with dancers and yogis learning to care for their bodies so full expression in practice is possible coming from connection between breath and power and release …grounding, fluidity, clarity, release, breath…simple invitation to presence. Every offering is an opportunity for us to come back. Bettina Rothe, trained 5Rhythms teacher that has a special focus on Leadership Embodiment and bringing these skills to the workplace. She is located in Vancouver BC. 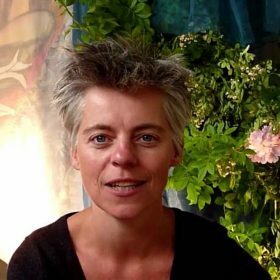 Bettina holds a degree in Psychology and in her mid-twenties began to study various healing movement arts, bodywork, meditation and shamanic practices. 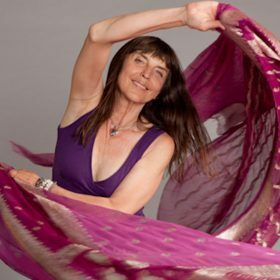 She was trained by Gabrielle Roth, creator of the 5Rhythms® conscious dance practice, over many years of intensive studies. Bettina has been facilitating classes and workshops internationally as a licensed 5Rhythms® teacher since 1999. 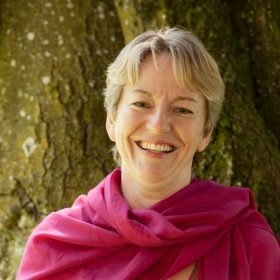 Bettina has been involved in Leadership Development since 2008 and been particularly interested in developing ways to lead effectively with body, mind and heart. She trained with Wendy Palmer as a Leadership Embodiment Coach and is an Associate of Leadership Embodiment International. Bettina designs programs for organizations and community groups on how to use the body as a resource for greater leadership. Cyrill Chantereau completed his apprenticeship with Ya’Acov and Susannah Darling Khan (founders of the School of Movement Medicine) becoming the first French Certified Movement Medicine Teacher in 2015. 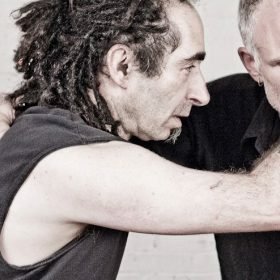 He is Teaching in London & France, his experience of holding space and healing has been developed through many years of practice in different initiatory paths as well as 5Rhythms and Contact Dance Improvisation. He is one of the Mankind Project‘leaders, artist and coach. Caryn Spain created Chart Your Own Course and Sacred Solutions helping business leaders find a greater vision of themselves and their businesses. She is a master manifestor and combines the knowledge and experience of her 20 plus years helping business leaders find a greater Vision of themselves and their businesses with her experience on her own spiritual path, addressing similar questions regarding her own life. Caryn will guide your explorations into what it is you truly embody and gently support you in making a commitment to your Vision. Christian de Sousa (London/Devon, UK) is a dancer, movement facilitator, DJ, artist & Dad. He first experienced the liberation of dancing as a teenage raver, eventually meeting Gabrielle Roth and the 5Rhythms in 1998, training as a teacher in 2005 and going on to build a vibrant community within the London tribe. 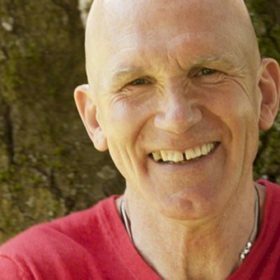 Having studied and mentored with Ya’Acov & Susannah Darling Khan throughout this time, he was deeply moved by the subtle power of Movement Medicine and became one of the first MM ‘pathfinder’ teachers in 2010. 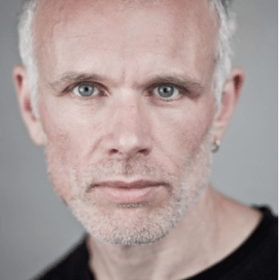 Christian is core faculty for the School of Movement Medicine, whilst continuing to practice and teach the Rhythms and occasionally experimenting with his own emerging map, dancingTao, a synthesis of these two and other influences. 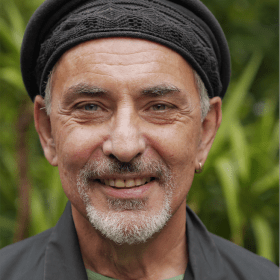 He founded the dTc (dancingTao collective) an engaged group of facilitators, artists, therapists and other dancing agents of change – and is the creator of the book and multimedia art project Postcards from Babylon – a rough guide to liberation. Favourite fruit/nut combination: peaches and almonds, eaten in the sun. Christina Pelzer (Munich, Germany) has a Master in Sociology and a degree as a Systemic Couple & Family Therapist. She has a deeply loving and strongly grounded energy which assists her in supporting others to drop illusions and connect to the truth of who and what they are. Her call is to unfold your potential through conscious contact with your Body & Emotion and recognize old pattern, believe systems or in-prints. Understanding these as an opportunity to deepen your soul level and to love life fully. Christina’s passion is to open the body on all levels to create space for your essence. She shows how to find alignment in relations – integrating stillness and contentment, connecting to your Soul, celebrating Life in freedom & ease. Christine Warren is a 36 year national presenter of transformational workshops and a founding member of Kripalu Center, the nation’s largest spiritual and transformational workshop center, where she is a senior faculty member. 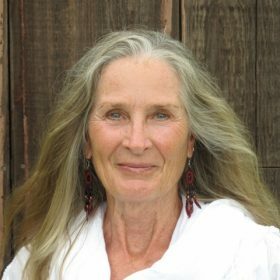 She has led workshops at Esalen, Omega, NY Open Center, Rowe Center, American Humanistic Psychologists’ Conferences and in hundreds of other settings.Her inspiring, life-changing teaching emphasizes the limitless potentials and visionary gifts within every person, and is grounded in a lifetime of deep personal practice, study. 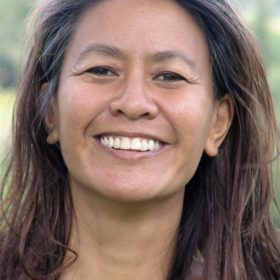 Christine is a conscious mentor and counselor in private practice in Haiku, Maui and also works by phone, bringing the same inspiring and uplifting energy to her clients as she carries in her teaching. She also works with youth and teens in helping them find self-esteem, live their vision and grow into their potentials. David Juriansz together with Meredith Davies have have been a dynamic duo for 5Rhythms in Australia for over decade. They hold weekly classes in Melbourne called “Tsumani Wave” with over 200 dancers. David used to go to the blue light disco and secretly wished he could dance, but boys in country towns don’t do that sort of thing. Instead he channeled his intrinsic love of music and movement into sport and later music performance. He took a winding path – juggling jobs as an editor, health professional, project manager, songwriter, community musician, performer and facilitator while supporting Meredith’s path as a 5Rhythms teacher. After 12 years of dancing and producing 5Rhythms events, the call to teach came. He was part of the last training group to work with Gabrielle Roth, a decade after Meredith, in 2011. Since that time he has transformed the weekly class Meredith started into the ‘Tsunami Wave’ – a deep catalytic journey for over 150 dancers. His humour, storytelling, and passion for the embodiment of the 5Rhythms, engages both newcomers and long-term dancers. David has offered classes interstate and overseas, continues his love of a weekly practice and his interest in composing music for ‘Live Wave’ 5Rhythms events. 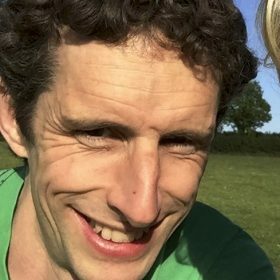 David Mooney (Dublin, Ireland) has engaged in a 10-year, in-depth study with the School of Movement Medicine and is now a fully qualified teacher of this work. 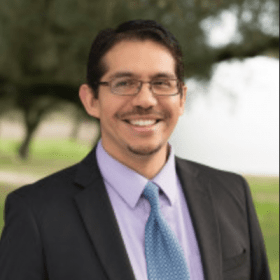 He is also a practicing psychotherapist and integrates his experience and skills as a therapist into his work as a Movement Medicine Teacher. He sees this practice as a way to transform patterns and wounds into opportunities for growth and healing. gateway to connect with He has a strong connection with earth-based healing modalities, including shamanism and deep ecology. David is also the founder of the Funky Seomra Alcohol and Drug Free nightclub, which has received much media attention and acclaim on TV, Radio and Press. 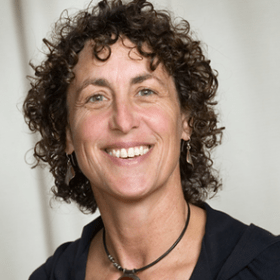 Davida Taurek has a diverse background in the creative arts and body-centered therapies. She is a certified instructor of Watsu®, Waterdance®, Motion Theater®, and the 5Rhythms®. Davida is known for her delightful sense of humor, fiery passion, authentic and caring presence, and evocative devotional teaching style. She believes in the transformative healing powers of self-expression, laughter, and gathering in community. Davida loves nothing more than igniting and guiding people into their unique, individual and collective dance of life. She leads classes, trainings, and workshops worldwide. Dayashakti Geeti has been exploring Conscious dance and movement as a spiritual and creative path for many years, taking her to Japan and America to learn and study with her teachers Vinn Marti and Kajo Tsuboi. Geeti now lives in Sydney, Australia and teaches Soul Motion andKiryuho Japanese movement to people of all ages and abilities as ways of bringing greater awareness to the relational dimensions of our selves both within our communities and within the universe. Movement and dance for Geeti is a powerful expression that can connect us to our eternal natures through the sacred vessels of our human bodies in this life. Geeti is also a lover of Kirtan and Bhakti yoga. Edgar Spieker (Hamburg, Germany) is a former martial artist, singer, and Nia Black Belt Teacher, he teaches Soul Motion since 2003 in weekly classes and workshops in Hamburg and internationally. His deep passion is to support students to rediscover their bodies through the dance as infinite source of creativity, wisdom and aliveness. He has studied Soul Motion with founder Vinn Marti since 2001. In 2003, he began to teach Soul Motion and Nia. He graduated as Nia Black Belt in 2006. After having been trained as dance therapist, Edgar is now also offering one-on-one dance therapy sessions. His focus is on teaching Soul Motion in classes in Hamburg, Germany, and in regional and international workshops. Eva Alewa (Honolulu/ Cologne) practices the path of embodying the sacred through conscious movement and dance. She is fascinated by the mind-body-spirit connection. Eva’s vision for those who seek her knowledge is to learn to walk lovingly, with dignity and balance through life and to express one’s spirit effortlessly and joyously. In 1987 she completed her Professional Feldenkrais Training, which changed her understanding of Self, Body, Movement and Dance forever. After working with Emily Conrad the founder of Continuum Movement and Susan Harper for many years she created Wave-Continuum. WaCo is a beautiful movement practice that opens the heart and connects the dancer to the deep wisdom of life embedded in our cells and the universe. Living in Honolulu Eva holds Conscious Dance Events called Hearbeat Dance as well as teaching dance technique, Contact Improvisation, WaCo and Feldenkrais. Since she moved to Hawaii in 2000 she studies Hula and the true meaning of Aloha! She is a sun dancer and fire keeper in the Native American tradition. 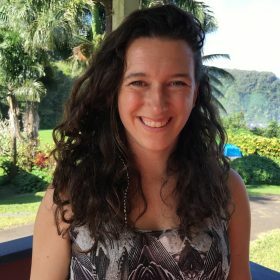 Eva will be on faculty at the HAWAII 2018 event. She is a Pearl-Mother. Diving into the depths to give birth to the beauty waiting to be discovered there, the pearls hidden within the shell called Human-Being. Dr Gary Elijah Wohlman integrates 45 years as a transformational body therapist, communications skills coach and awakening creativity artist, Elijah’s multi-sensory, multi-modal approach to generating breakthroughs in presenter’s abilities to communicate is tremendously fun, insightful, empowering, inspiring and life-transforming. Elijah provides a simple system for sustaining swift shifts in matching one’s inner intentions and outer delivery, enhancing impact and effectiveness with audiences in and on all stages of life. Guillaume Laplane (FR) is 5Rhythms® accredited teacher by Gabrielle Roth since 2007. He inspires through powerful and subtle explorations into movement, touch and connection to nature. 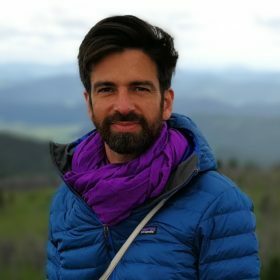 Continuously deepening his understanding of the 5Rhythms map, he offers his work around the world choosing stunning natural outdoor sites to open up new dimensions in our understandings and relationship to one-self, the others and our changing worlds. 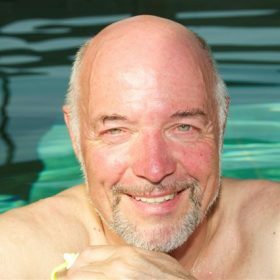 Gyan Schulte (Kisslegg, Germany) came to Aquatic Bodywork in December 1990 after near-death experience . 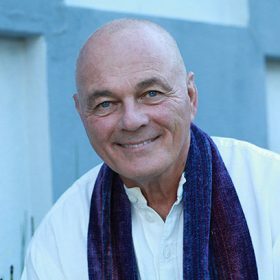 He is a teacher since 1994, certified for Watsu and Waterdance, he is the director of the Aquamunda Institute at the seminar center of Sonnenstrahl in Kißlegg .Gyan is trained as a health practitioner , psychological counselor, educator in relaxation, meditation teacher and teacher of healing and energy work. Honor Morningstar walks a path of dance medicine, firmly rooted in the maps of the 5Rhythms. Called to dance her whole life, Honor trained with Gabrielle Roth and was given the blessing to teach in 2008. Tinted with sass and verve, precariousness and possibility, Honor’s wild, tender, and compassionate style invites you back into your unique, authentic, and vibrant expression of self. Born in Kenya, based in Australia, and having lived and travelled extensively to some amazing places on this remarkable planet we call Home, the most insightful journeys remain those she has experienced on the dance floor. Life, love and the Rhythms continue to deeply inform her own practice and teachings. Dr. Jacob Liberman is a pioneer in the fields of light, vision, and consciousness, and author of Light: Medicine of the Future, Take Off Your Glasses and See, and Wisdom From an Empty Mind. He has shared his discoveries and insights with more than 2,000 audiences worldwide, and been enthusiastically endorsed by luminaries in the fields of health, science, and spirituality, including Deepak Chopra, Bruce Lipton and Eckhart Tolle. Gary Zukav described Jacob’s work as, “deeply transformational”, Jean Houston said it was, “… a manual for a whole new order of being”, and Louise Hay said, “Jacob Liberman is one of my favorite teachers”. 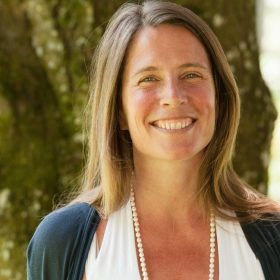 Jenny Macke is a 5Rhythms and Open Floor teacher who nurtures a thriving community in Bellingham WA. Where she created Presence Studio. 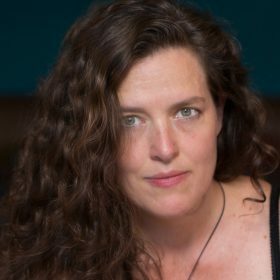 Jenny has been facilitating movement as a healing path for the past nine years and has a master’s degree in leadership education. She loves her home of Bellingham, where she is dedicated towards serving the community and creating space for others to find their freedom of expression. She is also a mother, artist, dreamer, and lover of forests and wild mountains. 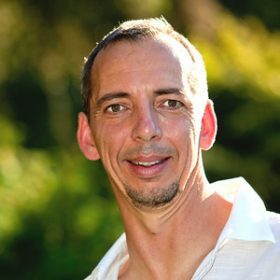 Jens Wazel is a Soul Motion conscious dance teacher who has been teaching and deejaying in the Pacific Northwest, the Bay Area and on Maui since 2006. 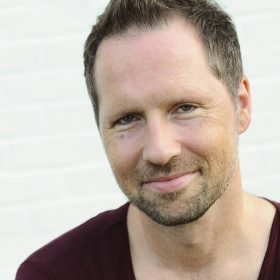 In addition to dance, meditation, and movement studies, Jens also has 20 years of training, performance, and teaching experience in clown, improvisation, and performance art. He combines all these elements into a unique offering of soulful depth and heartfelt play. Diverse, spacious, and full of love. 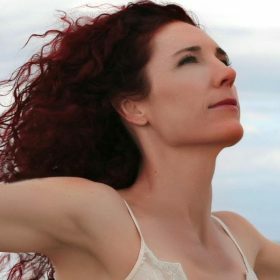 Jody Mountain (Hawaii, USA) is a dancer, choreographer and teacher with over 25 years experience in a wide variety of movement dynamics and healing modalities. Since 1989, she has been studying, practicing and teaching the ancient art of Lomi Lomi Nui / Kahuna Bodywork and it’s foundations in Ancient Hawaiian Wisdom. Jody carries the resonance of this lineage, which brings us back to our natural Selves — deeply connected with our innate intelligence, the wisdom of Nature, and our communion with Spirit. Indigenous Flow introduces a movement meditation dance embodying the Infinite. As we step into the shape, rhythm, flow, & breath of this mystical movement, we unlock ancient, sacred pathways in the body which deepen and expand our experience of the Infinite Within. 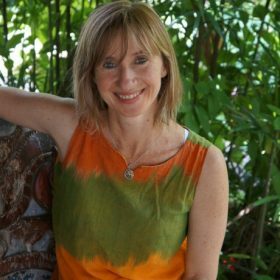 Jody teaches internationally, and has dedicated her life to sharing the depth and vibrancy of this profound work with others as a vehicle for awakened consciousness. Jo trained with Gabrielle in 1997 and has studied with many giants of the movement world, Emily Conrad, Susan Harper, Camille Maurine, Alana Shaw and Arjuna Vinn Marti. Jo offers a diverse weaving of art and drama in to her 5Rhythms teachings. Lei’ohu Ryder and Maydeen Kuuipo Iao (Hawaii, USA) are spiritual leaders, visionaries, healers, singers/songwriters and educators. They are emissaries of “aloha” and advocates for the indigenous soul in all people, blind to the labels (race, creed, nationality, ideology, etc.) that separate us from experiencing the true nature of our selves and others. Their love and knowledge of Na Mea Hawaii help us to connect with ourselves, with spirit, and to bepono (balanced in right alignment). 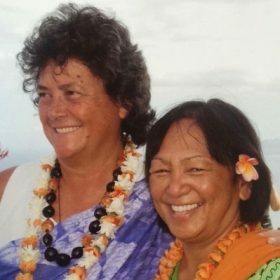 Lei’ohu and Maydeen offers their gifts throughout the world with Aloha.Their talents and knowledge are honored and loved in their community and the world. Their work has been recognized by the Office of Hawaiian Affairs, Peace Corps, Sierra Club and the United Nations. Lei’ohu was awarded the Gandhi-King Peace Hero Award in 2002. 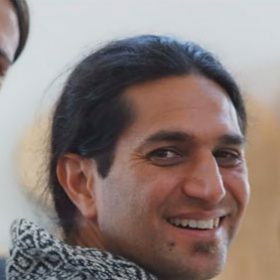 Luis Minero (Los Angeles, USA) is President of the International Academy of Consciousness (IAC) a non-profit research and educational organization dedicated to investigating consciousness and helping people develop their maximum human potential. At IAC, great emphasis is placed on the rational study and development of psychic and energetic abilities, as a means of understanding the multidimensional fabric of our reality and learning how to live better within it. Luis explains the advantages of developing the control over our energetic bodies and being able to produce paranormal phenomena and the benefits deriving from such practice. Luis is also the author of the international best seller Demystifying the Out of Body Experience, a practical manual for the exploration of consciousness and personal evolution. Mary Lane has a 30-year career as a chef, in which she awakened and deepened her understanding in how our relationship with food could support us to heal and reclaim the Divine nature of our human journey of transformation. She connects the dots between this deep collective healing, what we eat from season to season in our local environment, and how it can nourish us on the physical, emotional, and spiritual levels. Masha Delphenden is a 5Rhythms teacher, whose teaching style is dynamic, authentic and playful. An amazing musician as well , she is living in Maui and busy recording her latest album. She is a Gypsy originally from RUSSIA, then New York City, California and now Maui. She is a musician, dancer, and an all-around adventurer. 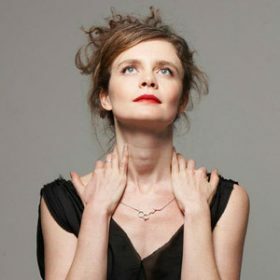 Her love of music inspires her to create imaginative and intimate soundscapes, and she invites students to go deep beneath the surface, to follow the threads of their intuitive inspiration. 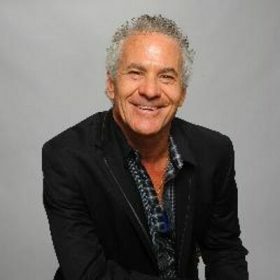 Michael Molin-Skelton performed and choreographed both nationally and internationally for 15 years after receiving his Bachelor of Fine Arts degree from UCLA. He first met Gabrielle Roth early in 1994. Later that year, at Gabrielle’s request, he began teaching the 5Rhythms. 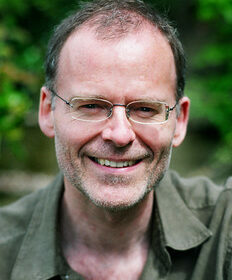 Michael received his 5Rhythms teacher certification in 1998, and his Soul Motion certification in 2001. Michael and his partner, Anneli, have developed spiritweaves ™ which is “a movement inspiration extended to all with an impulse to pray in motion, to dance devotion…spiritweaves ™ is a prayer in progress constantly being birthed out of the 5rhythms® and soul motion™.” Michael has been a 16-year student of continuum montage with Susan Harper, and his teaching of the 5Rhythms and Soul Motion has been greatly influenced by her mentoring. 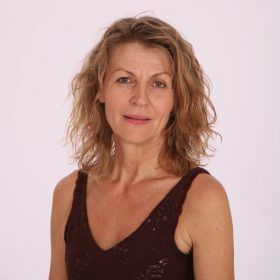 She has a Diploma in Dance Movement Therapy from the International Institute of Dance Therapy in Australia and is an accredited teacher of Gabrielle Roth 5Rhythms method. She is an accomplished film maker of dance and has had an extensive international career creating numerous award winning documentaries and short films about dance including “Dances of Ecstasy” which explores the ecstatic experience through dance, rhythm and music. Michelle has directed all of Gargielle Roth’s teaching videos. Michelle offers classes and workshops in 5Rhythms and Dance Movement Therapy. She also produces and facilitates community dance events bringing people together to celebrate our common humanity through dance and music. 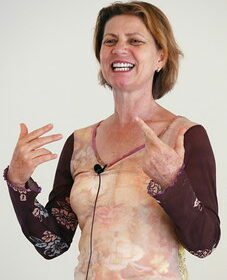 Mirka Kraftsow is a Yoga teacher in the Viniyoga™ methodology for over 35 years. Mirka’s workshops connect students to their inner Self while deepening understanding of the ancient teachings. Over the years Mirka has helped hundreds of individuals develop and maintain a personal practice and manage challenging personal and therapeutic conditions. 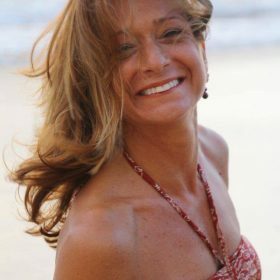 Born and raised in Italy, Mirka traveled and studied different modalities of dance, movement, psychology and meditation in India, Europe and the United States. Mirka’s vision to train and support Yoga teachers has been fundamental to the growth and development of the American Viniyoga Institute. 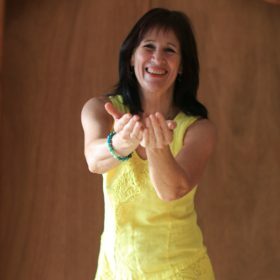 Mirka has a unique ability to develop quality Yoga teachers and support them in their personal and professional growth. An experienced presenter with a personal touch, Mirka guides participants through deep experiences with all the tools of Yoga. She masterfully weaves a tapestry of the teachings of Yoga, with special focus on the kosha-s and the eight-limbed path of Patanjali. Using the artistry of language and the science of Yoga, Mirka’s workshops connect students to their inner Self while deepening understanding of the ancient teachings. Mirka’s philosophy is comprehensive; all aspects of practice – physical, mental, psychological, and spiritual – are addressed in each practice session. Mirka believes this creates not only a balanced practice, but also a balanced life. Patricia Varley is a career and life transition coach, leadership trainer, international speaker, and certified Edgewalker™ Facilitator & Coach. She conducts retreats, leads workshops and provides transformational leadership coaching for corporate executives, as well as personal life coaching. Patricia’s focus involves integrating professional, personal and spiritual growth. We are living in transformational times of change and uncertainty. We are being asked to evolve and reclaim our authentic essence, release our ego attachments and patterns, and step into the wholeness of our Divinity. The time is now and each of us is invaluable in bringing our Highest Purpose and unique expression to the planet. Patricia can assist you in identifying and releasing limited beliefs and fears of the ego and embrace the heart-centered essence of your authentic Spirit and life purpose. 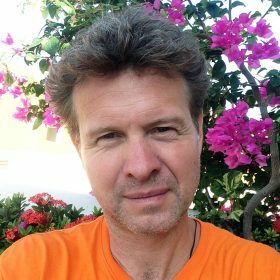 Ronny Temple Ronny is a certified 5Rhythms Teacher with a wide breadth of experience in movement meditation and leadership that serves him well as he holds and guides OlyWaves. He is also a published author. His most salient experiences though are in the realm of meditation and spirit. Curiosity and compassion eventually led him to teachers like Krishnamurti, whom he met in the early eighties, and to Osho Rajneesh with whom he practiced meditations such as Vipassana, Sufi Whirling, and Kundalini for nearly two decades. Ronny fell in love with the 5Rhythms practice around 2003 and ten years later is still in the honeymoon phase. Ronny focuses on nurturing a light heart on and off the dance floor. His teachings have a decidedly Tantric (meaning, in this context, holistic) flavor to them. 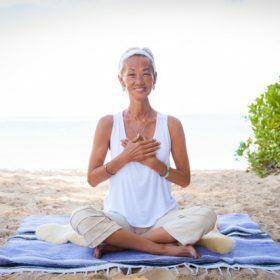 The BREATH OF ALOHA YOGA instruction developed by Ruby Amarsharan Wong is the core foundation of her work as a certified Wellness Navigator. 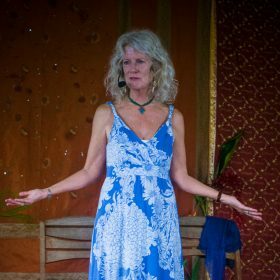 Ruby has developed and taught this course on Maui and its philosophy since 1984 to over 1000 delegates as well as facilitating local and global retreats and workshops. 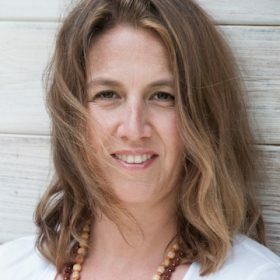 Ruby’s extraordinary background and experience combine to integrate and transform her yoga and meditation students in her workshops and retreats. An Avatar master since 2003, she applies the Avatar principles to her work and passion by enabling students to excel, claim their destiny through identification of their true self. Through her dynamic infusion of offerings, Ruby provides diverse and comprehensive services for transforming health and well-being. Students learn how to practice their yoga from the inside out so that they are empowered from their deepest resources. 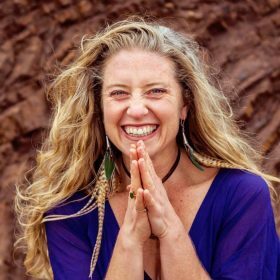 Loved internationally for her infectious capacity to initiate joy-fueled transformation,Samantha Sweetwater is an educator, sacred activist, wisdom leader, artist and culture coder. As the creator of a global movement of Dancing Freedom™ spanning six continents and touching thousands of lives, she is passionate about supporting people to awaken to who they really are and to their power to change the world through purposeful action. A lifelong experiential physicist (ie. a choreographer, community leader, nature wanderer, permaculturalist, yogini and medicine woman) her expertise lies in facilitating a living bridge between states experience and stable embodiment. She helps people to be and create what they know to be True. She invites a profound return to the body, to planet earth and to the Mystery as safe and sacred places to live, love and co-create. Her first book More Life, Please will be released in 2016. Sangeet Portalski (Bilbao, Spain) has lived and started conscious dance communities in India, USA, Germany, Italy and Switzerland. He met his Master/Spiritual Teacher Osho in 1978, and became a student and disciple. Osho still continues to be the greatest source of inspiration for Sangeet’s life and work. For more than 25 years, Sangeet was a professional masseur, body worker and therapist. He also spent more than 20 years as a professional DJ. He is trained by Gabrielle Roth to teach both Waves and Heartbeat level 5Rhythms. Sangeet has also been dancing Salsa for more than 20 years and has been developing his own, unique new approach-”Conscious Salsa,” which is a combination of body/emotional/energy work and Salsa. Stacey Butcher is 5Rhythms and Open Floor teacher from Bay Area CA. She has been dedicated to the healing arts for over 20 years, and is committed to the path of awakening through awareness of the body. Stacey incorporates deep mindfulness, presence, authenticity, passion and humor into all of her offerings. 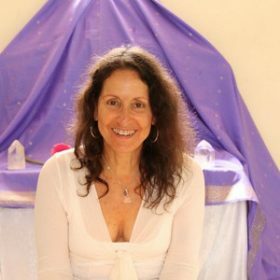 She is an inspirational healer and facilitator and is skilled at holding space for transformation. Stacey found the medicine of movement and believes it to be perfect integration between inner and outer worlds. She became a dedicated student of conscious dance and keeps deepening her movement practice on a continual basis. 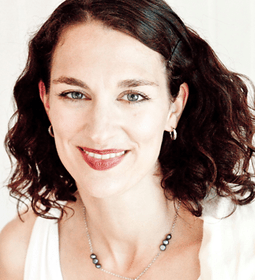 She trained as a 5Rhythms teacher with Gabrielle Roth, founder of the 5Rhythms practice. 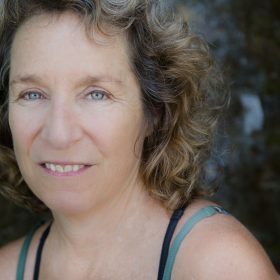 She has studied with many movement teachers in other traditions including Vinn Arjuna Marti (Soul Motion), Anna Halprin (Tamalpa Institute), Olivia Corson (Body Teles), Susan Harper (Continuum Montage) and Ya’Acov and Susanna Darling Khan (Movement Medicine). Tess Howell (Brighton, UK) is a dancer, ceremonialist, artist, art therapist and 5Rhythms® teacher. 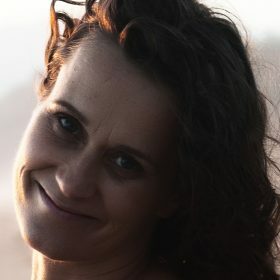 She is passionate about creativity for transformation and inspiration as a way to connect with self and source. She has been running workshops using creativity and ceremony for change for the past 7 years. She is the instigator of the “Wild Grace” project, which brings dance to the outdoors. Tess is a certified 5Rhythms teacher and is currently engaged in working with young adult women in a project called “Creative Journey”. Viewing life as a dance, Cocréa™ is a continually evolving holistic movement modality intended to bring individuals into strong, empowered, expressive relationships with their bodies. Wren and Antje guide participants into an experiential synthesis of western social partner dance techniques, body alignment and awareness from yoga, bio-mechanics, and physical theater training, physics, and authentic relating practices. As we hone this dynamic, kinetic toolbox, we emphasize connection, communication, and presence between two people within a community of others. Allowing intuition and feeling to guide the partnership, their centers and frames to support it, dancers listen and respond in the moment, release old and excessive thought patterns, and access profound joy. Weaving the threads of collaboration, cross-pollination and consciousness, Wren and Antje’s focus is on how dance can enhance and expand relationships into a deeply connected, honest and powerful tool for personal, interpersonal and transpersonal co-creation and transformation.